On my last trip I made a reservation to have a late birthday celebration at one of Epcot’s restaurants. 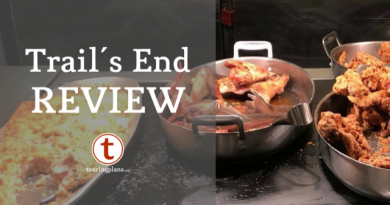 I’ve been to most of the eateries in Epcot, but there was one that was missing from my list. I had never been to Coral Reef before. I had always heard mixed reviews, but I wanted to give it a try for myself. I thought at least the scenery would be cool with a great view of the fish tank. I really love seafood, so I wanted to give it a shot since it touts a menu featuring my favorite food. Was it worth going against all of the bad reviews? Read on to find out! 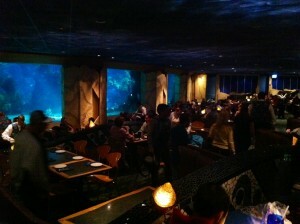 Our visit to Coral Reef started with a 30 minute wait, even though we had made an Advanced Dining Reservation. There seemed to be a lot of folks standing around in a similar situation. Since the restaurant is located inside the Seas Pavilion, we wound up sitting outside listening to the seagulls chant, “Mine! Mine! Mine!” for half an hour. There is not a ton of space inside, so if the weather is not cooperating, waiting could be a very wet time. I could stand around talking and being silly with my friends for hours, so it wasn’t horrible to have to spend half an hour with them outside, but we were hungry! Once inside, the atmosphere at Coral Reef is one of its key selling points. The lobby feels as though you are walking into the sea: there are jellyfish-shaped light fixtures on the ceiling and a wave pattern on the floor. When guests are seated, the tank side dining area is revealed. The view of the Seas Pavilion’s aquarium is the main event here and really is beautiful. The dining area is smaller than I pictured, but there are semi-circular booths facing the tank to give parties a nice view of the fish swimming around. My group was given one of these tables and really enjoyed the view. It is also quite loud in here, which occasionally made conversation more difficult than it really should have been. Since we were celebrating a birthday and the completion of that day’s half marathon for two of my dining companions, we ordered appetizers. I had heard great things about the creamy lobster soup (basically, lobster bisque), so that was my selection. A couple of my friends were disappointed that there were only one or two options that were not made with seafood. With that in mind, the other appetizers at the table included crab cakes, the mixed field greens salad, and the day’s soup of the day made with veggies and beans, but no fish. My soup was good, but not amazing; I’m not sure if I would order it again. The salad with candied walnuts, seasonal fruit, and blue cheese looked lovely, and my friend reported it tasted as good as it it looked. The crab cakes also got a good review. The soup of the day didn’t get get much praise, unfortunately. It sounded like an odd combination of spinach and beans, and my friend didn’t love it by any means. When it came to picking and entree, my philosophy was “the more fish the better.” I opted for the mahi mahi, which was topped with shrimp and with a coconut based sauce. Unfortunately, the shrimp were really overcooked. Otherwise, the mahi was decent, and I liked the sauce, but I just couldn’t get over the chewy shrimp. One friend ordered the vegetable-potato strudel and really enjoyed it, so keep that in mind, vegetarians. The seared chicken breast was also ordered, but it wasn’t enjoyed. My friend who ordered the braised pork shank all but licked his plate. Dessert was probably my favorite part of the meal. Most of us ordered the signature chocolate wave, and one opted for the Baileys and Jack Daniel’s mousse. The chocolate wave was basically a molten chocolate cake with a raspberry gelato served along with it. It was delicious! I love the combination of chocolate and raspberry, so I was very happy with this sweet ending. The Baileys and Jack Daniel’s mousse also got rave reviews! It was a good way to end an otherwise so-so meal for me. In addition to my so-so meal, the service was also mediocre. The fact that the restaurant was running behind may have been because service was slow. It took a while to get both our food and our check, and I don’t think our server ever checked on us after our entrees were served. The cast member was pleasant, so I couldn’t fault her for her personality, but it was less than impressive service on top of a less than impressive dinner. Overall, I wasn’t all that pleased with my Coral Reef experience. I’m usually pretty upbeat about my adventures in Disney World, but this restaurant just fell short for me. Sure, it was cool to watch the fish swim around while we had dinner, but that alone is not worth sacrificing a good meal and good service. It certainly wasn’t the worst dinner I’ve ever had, but it was far from great. A few of my fellow diners did really enjoy their meals, but there seemed to be an even split between those who liked their food and those who weren’t really impressed. I think it will be a while until I give this one another chance, especially since I really love a lot of the other options in Epcot. How about you? 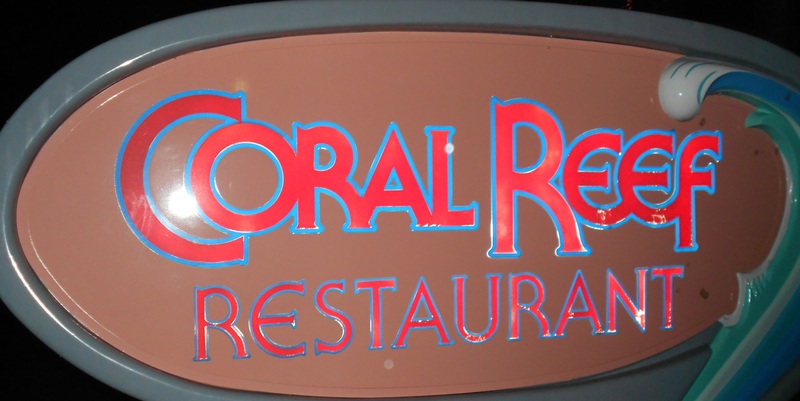 Have you dined at the Coral Reef recently? Tell me if you loved it or hated it in the comments! I am sorry you didn’t like Coral Reef. It is one of our favorites. We have never been disappointed. The food has always been good and we never had slow or bad service here. We always pretty much lick our plates. This is one restaurant that we make it to on every trip. I’m glad you have always had a good experience, Cynthia! I hope it continues to be a favorite for your family. It is always interesting to see everyone’s different take on different places in WDW. We have dined at Coral Reef each time we have visited Epcot, sometimes more than once during a visit. We have been at least a half dozen times. We love the atmosphere (especially when the divers are in the water and entertain the diners) but we have been routine with what we order. It is always the steak and potatoes with no appetizer and like you, the Chocolate wave. I don’t think we have ever waited 30 minutes, but have had to wait probably 15 minutes and only once were we immediately seated. So I agree with the small waiting area. We have young kids and they always enjoy it although they were disappointed this last visit because they took away the make your own sundae dessert option. I just went there 2 weeks ago for the 1st time in 19 years (last visited with my family as a kid in 93′), so it was funny when they asked “Have you dines with us before?” I got a lot of funny remarks when I said “Yes, 19 years ago!”. I always loved this returant as a kid and see it all the time when that Full House episode where they go to Disney World is shown. Anyway, my wife and I finally snuk to Epcot while the kids were at daycare a couple fo Friday’s ago and had reservations for lunch. We only waited about 2 minutes until we were seated. My wife and I both got the Rainbow Trout and I HIGHLY recommend it. I also had the Lobster Soup and I thought it was good. Our server was not the best. I looked around and the other table’s servers semmed much better. We too had to wait for drinks, were served no rolls (had to ask food runner for them), and took a while to get the check. Maybe we caught the guy on a bad day. But for $70 for lunch that included no alcohol, I suppose good service should be present. The meal protions are a tad on the light side (I am not a very big guy either) so if you go starving, your 3 course meal with appetizers and dessert will cost you. Overall though, it is an experience I still enjoyed and yes would do it again. We were in no hurry and the atmosphere is really cool, so if money is not of a concern, then check out the Coral Reef Resturant behind Nemo at Epcot! I’m glad you had a good lunch, Allen! It is good to know the trout was tasty. You bring up a good point about the price to dine here, you are certainly paying for the experience. Thanks for the comment! We ate there in Sept 2009 and enjoyed our meal very much. So my boys now 7,5,5 wanted to eat there again (the giant tank is one reason). So on our last trip on Jan 2012 I booked us there again. We didn’t have to wait since we had an early reservation. The food was terrible. I had the lobster ravioli and the sauce was way too salty. My husband had the steak and it was tough. Two of our sons had pizza and our one son commented on how tiny it was (they had the kids pizzas at several other Disney restaurants and these were the smallest). My other son had the chicken breast with the lobster bisque. They chicken was dry, my husband tasted the soup and he said it tasted fishy. This was also the only place where we felt rushed to eat and get out. The waitress kept coming over and trying to get us to move our meal along. We were still eating and she asked us if we need any to go containers. Overall it was a terrible experience. The only person who enjoyed any of their meal was our one 5yr old who loved the apple slices. We will not eat there again. This was our last table service meal on a 8 day vacation (and yes we were on the dining plan) and what a disappointment. We will go look at the fish after riding the Nemo ride instead of wasting another meal there. I think I’ll stick to seeing the fish for free in the Seas Pavilion too, Jen. There are so many great dining options in Epcot so why go somewhere disappointing even with a great atmosphere? Thanks for the comment! We were in the middle of love and hate. We, as well, experienced the slow service and the waitress becoming MIA once the food arrived. We were out of drinks and had to track down our waitress to get refills. Overall food was so so. Thanks for the comment! It is just too so so for me to return any time soon. I hear you. We are going to the first time this Saturday. I hope we will like it. We love seafood. Just so happens my hisband and a friend will be in the tank when we have dinner (they are doing Dive Quest). Hope we can snag a seat by the tank (husbands request)! Coral Reef has been on a slow spiral of decline over the past 5 years, in my opinion. While the visual atmosphere has always been stunning, and the ambiance always a bit more noisy than one might hope, the food quality has become more miss than hit, and the service has really taken a turn for the worse. For years, I had Coral Reef on my “must dine at” list, but I finally gave up on it last year. Right now I tell people it’s worth going once, just don’t expect the meal to be as wonderful as the visuals. I can’t comment on a downward spiral since I had never dined there before, but it is disappointing to hear so many people say similar things. It isn’t like there isn’t great service in other places. Disney knows how to do it so what’s the deal with Coral Reef? Get on with it. Anyway, thanks for the comment, James! I hope you have better dining experiences elsewhere in your future trips. We ate there last October. The food was good & our service wasn’t bad. As noted, the place can be a bit loud. Also – as cool as you think a table next to the tank would be, the coolness isn’t enough to cancel out the rude people who think it is okay to stand over your table snapping pictures & let their kids hang on the back of your chair to see the tank better. Stinks trying to have a nice meal & conversation when you have strangers hovering like that or having some kid yank your chair & spill your drink/food. Oh wow, that doesn’t sound pleasant. We were not seated next to the tank so we didn’t experience this. I hope that doesn’t happen to everyone! Thanks for the comment. We ate at the Coral Reef last August. We didn’t love it but we didn’t hate it either. The food was fine but my kids didn’t really like their options. The service was adequate but not great. With so many other options, I don’t see us going back. That’s almost exactly how I felt. I definitely didn’t love it by any means but it wasn’t the worst experience I’ve ever had. And I don’t see going back for almost the exact same reason as you. Thanks for the comment, Maria! Coral Reef was amazing for a gluten free experience. We were there a couple of weeks ago. I loved the Mahi Mahi so much we went back a 2nd time on the extra day we had. Thanks for letting us know about the gluten free element, Brandy! Coral Reef has always been a must-do on out trips. My husband and I snuck away for a long weekend in January, so naturally we went for dinner. We waited about 20 minutes for our seat, but all was forgiven when we were seated directly infront of the tank. Unfortunately, the Coral Reef will no longer be must-do for us. I’ve never had a bad meal there until then, but boy, it was terrible. Lobster soup has changed from bisque to this new slop. It’s terrible! I ordered the lobster ravioli. Bland, and slightly sour. Just bad. Server never came back to the table for 25 minutes! We were out of drinks, and at that point, it was too late to complain. My husband had the mahi-mahi and liked it. Until later that evening when he spent the rest of our romantic evening in the bathroom. Needless to say, we won’t be going back when we take our kids in November. Kinda sad. It is always a bummer to be disappointed by somewhere you always loved. I hope you can find a new place to really love and put on your “must do” list. Thanks for the comment! I’ve had dinner there once in 2009. It was the only time I have had truly terrible service in a Disney restaurant. Long wait even with ADR, very crabby waitress who was rude to us and then stood over my shoulder when I figured her tip. I had the chicken which was not good. Husband had fish of some kind, and he enjoyed it. Saving grace was that we were seated next to the aquarium. I had hoped it had improved since 2009. Unfortunately, it has not improved, Donna. I think you have been right to stay away. Thanks for the comment! The review almost exactly mirrors our impression from our one and only visit in Oct 2010. 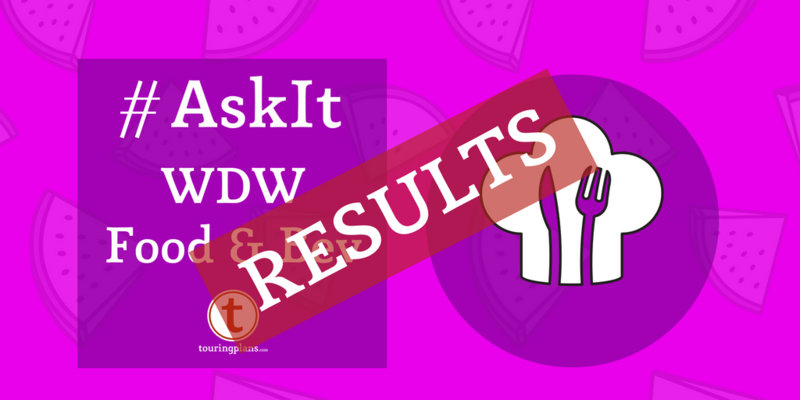 I’m glad we tried it, and it wasn’t horrible, but I’ve had much better meals in Epcot and WDW. That’s exactly how I felt, Brian. Thanks for the comment! Yeah, we didn’t have that great of service there either. It was tough because my daughter wanted to go look at the fish in the tank. If we ever ate there again I would ask for one of the tables right next to the tank. It wasn’t one of my favorite places to eat at Disney. I can understand kids being really into it, but I’d rather just let them linger in the Seas Pavilion and check it all about. Hopefully you can avoid going back 🙂 Thanks for the comment! We went last May and I wasn’t impressed. 🙁 I was really looking forward to it, too. I had the lobster bisque and the ravioli and was disappointed in both of them. On the other hand my husband’s steak was great. The service was spotty. It was really hot last May and our drinks were gone fairly quickly…for our whole meal our server was MIA. Definitely not going back on our next visit. Thanks for the comment, Melanie! I think I’ll be enjoying the fish from the Seas Pavilion and taking my wallet elsewhere for food until I start hearing about a turn around at the Coral Reef. I’ve been twice. Both times wasn’t impressed and haven’t gone back. Too many other great options to choose from. Maybe some day I will go back. It sounds like a lot of people agree with you, Brian. Thanks for the comment! Waited 45 mins. Plus, so bad my daughter sent her food back. Service has taken a turn for the worse, they need to sent the servers over to Le Cellier to teach them how it’s done. 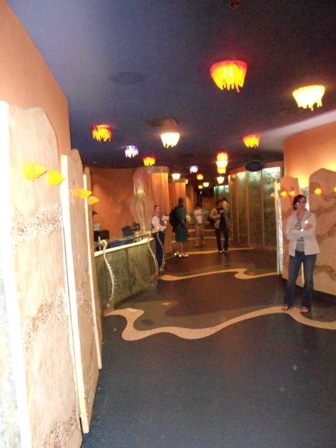 My experience with the Coral Reef Restaurant was mostly horrible. My wife and I went to WDW in September 2011 for our honeymoon and I made ADR for here. We arrived early, but still had to wait. It was busy, so I do not fault them here. The wait was not too long. Our waiter was the worst. We ordered our drinks. I ordered a Bahama Mama. Now knowing they charge a lot more for drinks, you would think they would want to bring your alcohol as soon as possible to thus increase the check. Since I had never had a Bahama Mama before I ordered a glass of water just in case. He came back about 10 minutes later (without our drinks) and we ordered appetizers. Before our appetizers came, but after the order was placed we ordered the Lobster Ravioli. From the time we were seated to the time we got our appetizers about 30 minutes had passed. Once we were done with those, my Bahama Mama finally came (minus the water). It’s a good thing it was pretty good. About another 25 minutes later we got our meal (still no water). The Lobster Ravioli was DELICIOUS! I enjoyed it immensely. Because it was our honeymoon, our waiter told us dessert would be on the house. This was awesome! After dinner it took about 20-25 minutes to get this dessert. When he brought out the dessert he asked if there was anything else he could get. I would also like to note that I had finished my Bahama Mama long before now and was never asked for another. I took this moment to remind him of my water that I ordered about 90 minutes prior. This quickly came… after dessert was finished. The waiter (who we barely saw) apologized that it was busy that night and that he had been running behind. All in all our dinner was a little over 2 hours long. This would have been fine if the majority of it was not sitting and waiting. I never noticed exactly how long we took until we were walking out of the restaurant and it was dark out and I could hear IllumiNations playing in the distance. This was not the part that irked me the most. A booth next to us was filled about 10 minutes after we arrived by 5 gentlemen. You could tell they were rich and they were waited on hand-and-foot by three different waiters. They got their food and drinks before us AND got refills as needed. They even finished up and left before us. I felt that they were treated differently because of MONEY. Our waiter did not get a good tip and I regret it now, but did not feeling like the hassle on my honeymoon, but I SHOULD HAVE gone to the manager and complained. I should have, but I didn’t. Oh well. 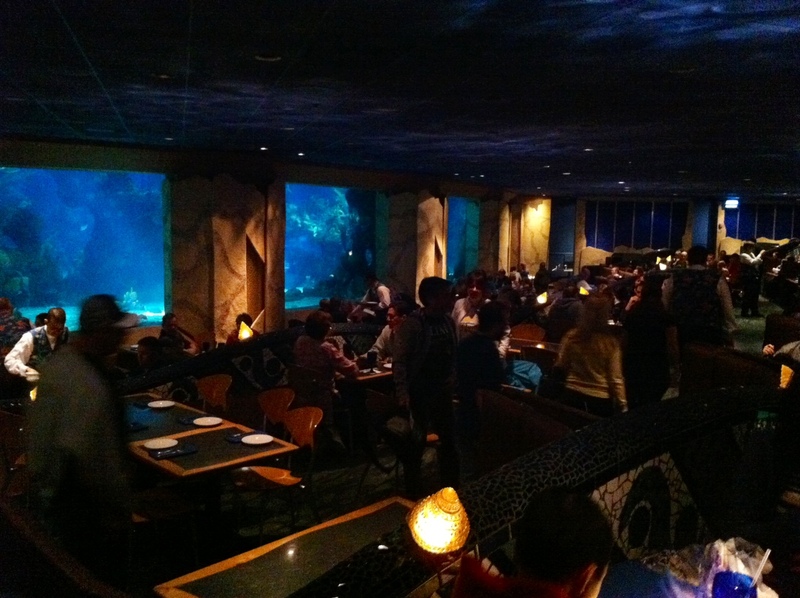 PS – The restaurant was beautifully decorated and I loved the fish tank, HOWEVER I will never go back again. 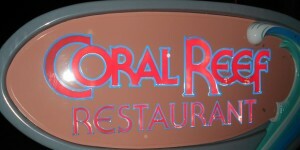 I just dined at Coral Reef on April 16th for lunch, and it was the best meal of our entire trip! We had also dined at Akershus, Cinderella’s Royal Table, Crystal Palace, and the Tusker House, and Coral Reef’s food was FAR superior!!! I almost cancelled our reservation due to the above review and all the negative comments, and I am oh-so-glad I didn’t!!! They didn’t have the lobster ravioli that I had heard was so gross, instead they had a lobster pasta in a creamy sauce that was the best thing I’ve ever had. The lobster chunks on top were large, and I only wish the serving was larger. My husband had the steak, and he ate every piece of it and loved it. The sauce it was cooked in was so good. I ordered the famous chocolate wave, and I have to say, it was good but not special. Really, it’s just a piece of cake that is warm and a bit gooey in the center. My husband got the Jack and Baily’s mousse, and it was AMAZING!!! We don’t drink alcohol at all and don’t enjoy the taste, so I was afraid that it would taste like medicine. But it was delicious and didn’t hint at all of alcohol. The service was excellent, our server checked on us at least 4 times. The crowd calendar had Epcot marked as a 1.7 for the day, so maybe the low crowd was the reason for our excellent experience, but whatever the reason, my whole family LOVES the Coral Reef! It is the only ‘for sure’ restaurant for us to repeat on our next trip!